Many of us are familiar with the wines and regions of Piemonte in Northwest Italy. Of course, we all know about the famous king and queen, Barolo and Barbaresco, along with Gattinara and Ghemme regions that have great, ageable expressions of the Nebbiolo grape. There’s also the Italian “everyday wine” Barbera and the lesser known, but no less delicious Dolcetto. The three red “staple” grapes of Piemonte! What about the whites? Well, I think everyone has had a Moscato d’Asti, the low alcohol, frizzante, sweet style wine that is hugely popular, or Asti Spumante (full sparkling), now better known as just Asti! But the other more well known grapes are the Arneis, Favorita (Vermentino) and the Cortese, best expressed from the region of Gavi, still in Piemonte. Confused yet? Yes, Italy is confusing as a whole, but if we break it down it’s really not so bad…right? And just to confuse you even more…there’s levels of this grape in Gavi. Like many Italian wines, the label shows grape from place. Like above, with Moscato (grape) d’Asti (place) or Barbera (grape) d’Alba (place). No different here. Cortese (grape) dell ‘Alto Monferrato (place) is the DOC level, then Cortese di Gavi, or simply “Gavi” that is grown in the province of Alessandria, or made right in the town of Gavi called Gavi di Gavi. Both of these are DOCG (the highest level of quality) in the Italian heirarchy of wine law. 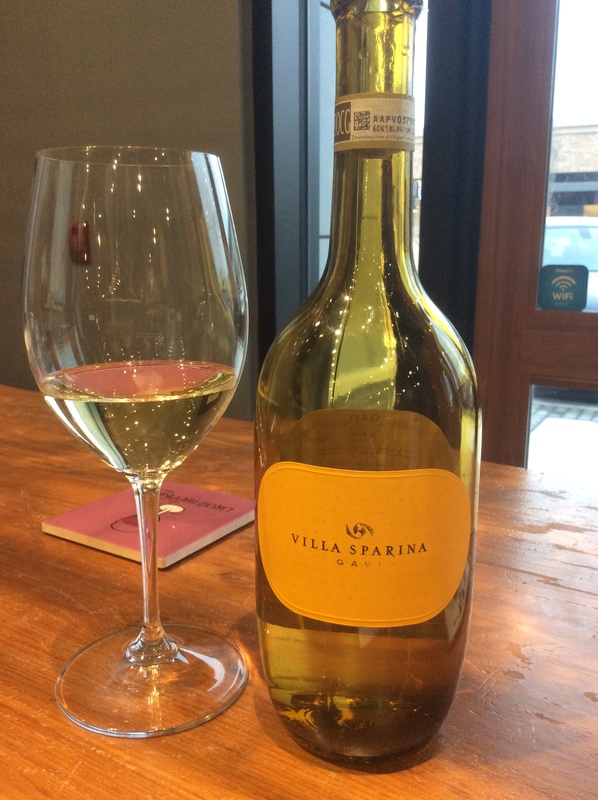 Villa Sparina Gavi di Gavi is made from 100% Cortese and comes in this golden yellow bulbous style bottle. Super cool! This varietal can be bland, but good grape growers and winemakers will bring out the best in this grape and it often shows apple and mineral notes with a definite citrus lime tang on the palate and finish. It is bright lemon in colour with refreshing acidity. This one is just that! Lots of green apples and citrus with that granite, wet rock minerality that is prevalent on the nose! There might even be some MLF on this…I detected a smoky cream on the nose too. Delightful! Favoured in the nearby port of Genoa to the south and a great pairing for the seafood from the Ligurian coast. All this for the great price of $36.95! This entry was posted in Tasting, Varietals, wine and tagged Alessandria, Cortese, DOC, DOCG, Gavi, grape, Italy, law, Monferrato, Piemonte, Thursday. Bookmark the permalink. Inundate all you want….I love Italian wine! This one sounds delicious! Good! Because there’s likely to be more around the corner! Cheers!